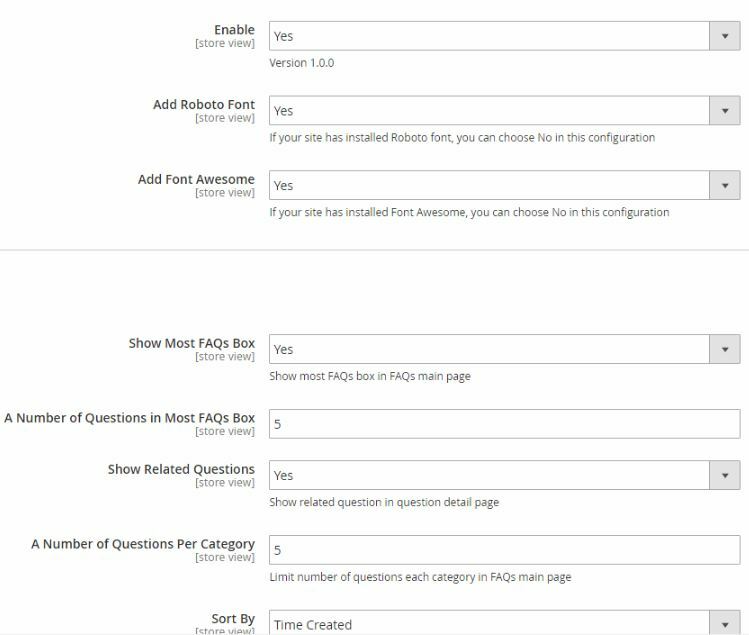 Magento 2 FAQs extension allows admins to create and customize the FAQs page to increase customization and interaction with customers. 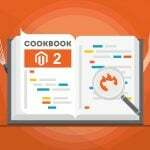 DOWNLOAD MAGENTO 2 FAQS EXTENSION NOW! 1.1 Does Magento 2 default support FAQs function? Does Magento 2 default support FAQs function? As you know, the default of Magento 2 doesn’t support product question feature, which is one of the most necessary functions of a website. 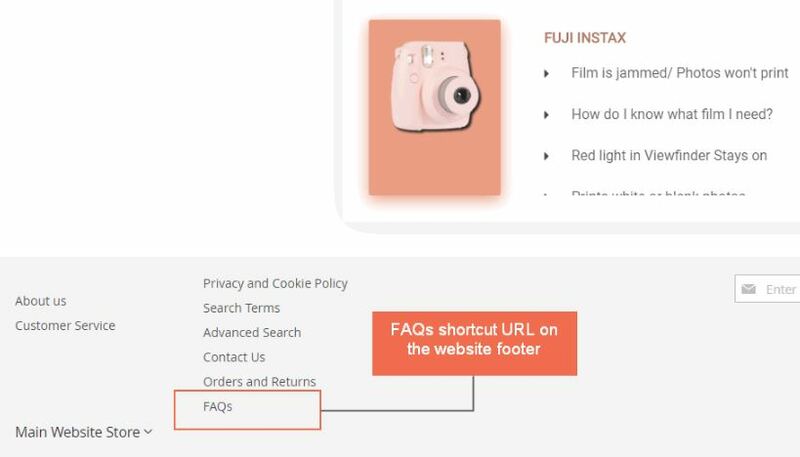 Meanwhile, Magento 2 FAQs (Frequently Asked Questions) extension helps admins to not only show questions on the product page but also create an outstanding FAQs page. How can Magento 2 FAQs extension benefit you? 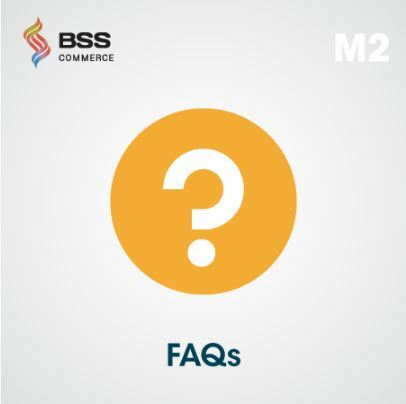 As a store owner may concern, you might receive tons of questions from customers about your products.Therefore, Magento 2 FAQs extension is developed to support admin manage and answer customers questions quickly and conveniently. Customers can see the solutions for their same issues on your site, so they do not need to ask you again. Additionally, providing answers to customer questions as soon as possible increases customers’ satisfaction. Hence, with Magento 2 FAQs extension, customers are provided more information and knowledge about their concerned products, your credibility will increase naturally. 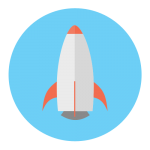 They will trust your online store more than others with the friendly and informative FAQ pages and question detail pages. At first, you need to enable the module. There are two font configurations: Roboto Font and Font Awesome. You can select Yes if you want to apply these fonts. Admins can configure to show most FAQs box and a number of questions in this most FAQ box. 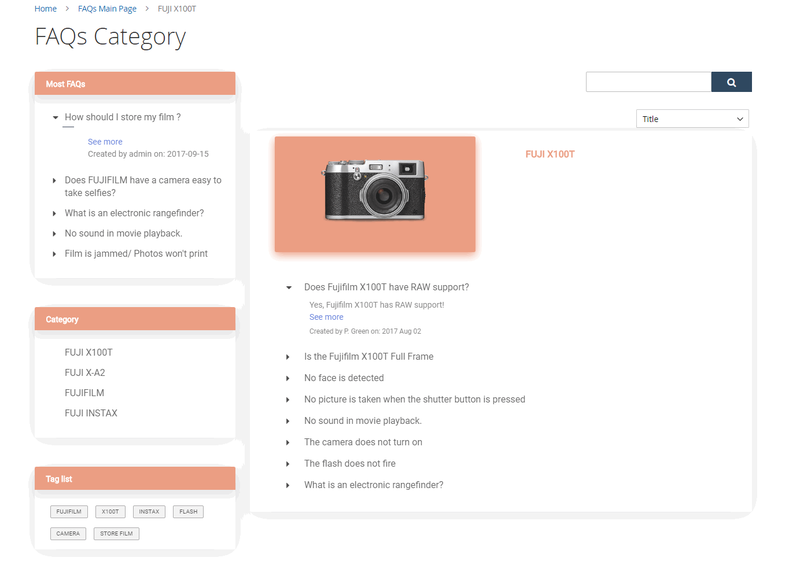 Besides, store owners can display related issues and set a number of questions for categories in the FAQs main page. 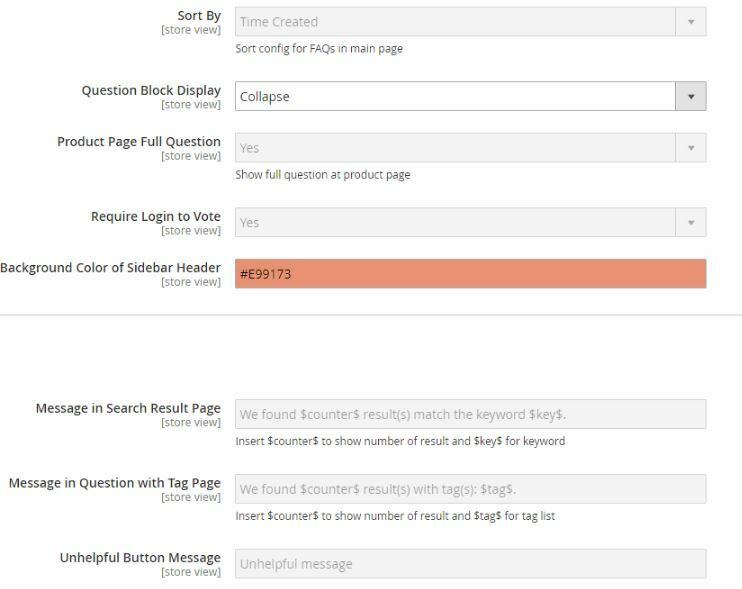 Sort By configuration allows admins to sort FAQs in the main page by Time created, Title and Number of Vote Helpful. With Question Block Display, you can select one of two ways to show the questions in the block: expand or collapse. 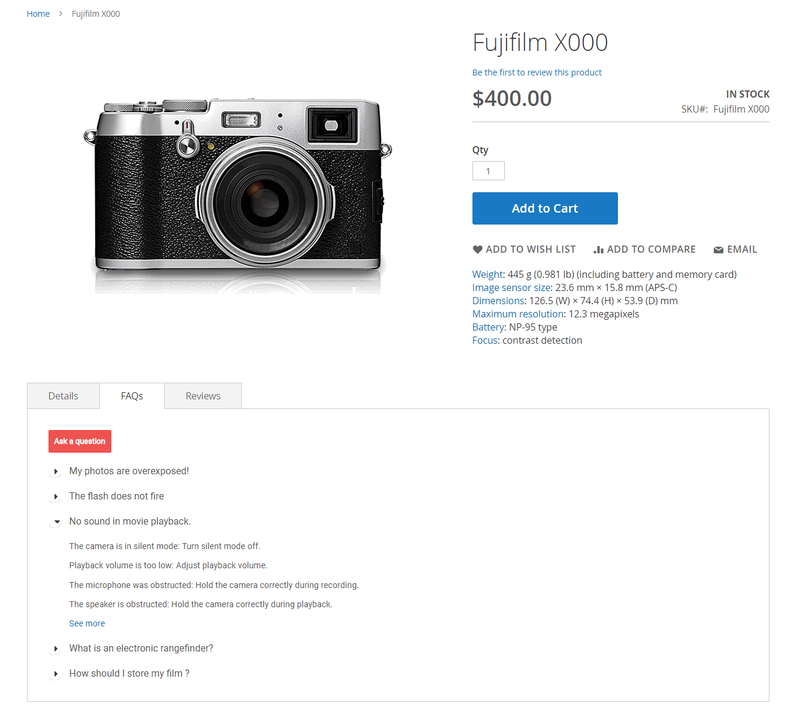 Moreover, Product Page Full Question provides Yes option if you want to show the full issue on the product page. By choosing Yes in Require Login to Vote you only allow the logged-in customers can vote. Background Color of Sidebar Header supports admins to pick a color of the sidebar header to be more attractive. Message in Question with Tag Page: you type the word to inform the results of the chosen tags. Unhelpful Button Message: type the message will be shown when customers vote unhelpful. Furthermore, there are multiple configurations for each FAQ and the FAQs category. For instance, the extension allows admins to customize the title and URL per question and FAQs category. Plus, store owners can assign the question to FAQ categories and products conveniently. Another exciting setting of this plugin is uploading the image and choosing a color of title and background per category for a more attractive display. Most FAQs, Category list, and tag list are on the left sidebar. Besides, admins can customize the color for the sidebar headers as they wish for a more attractive display. On each category box, the answer per question can be collapsed or expanded. When customers click on a question, then there will be a short answer displayed with the author’s name and time created. If they want to see the full answer, then click “See more”. On the detail question page, customers can vote helpful/unhelpful for the answer. Besides, they can share on social networks if they want. Customers can also see related questions on the right sidebar and the associated tags under the answer conveniently. 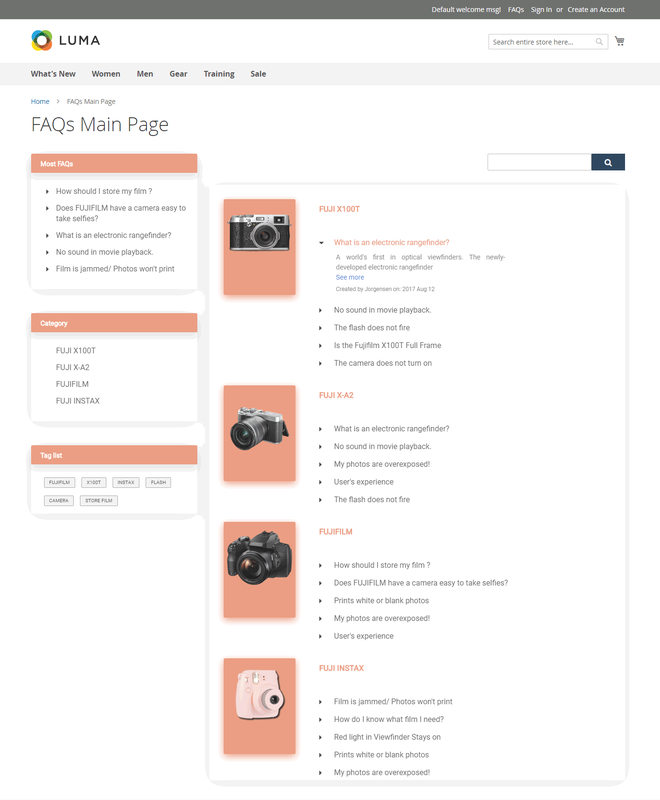 On the product page, FAQs tab is integrated into the additional information block, so that customers see the FAQs and submit questions easily. 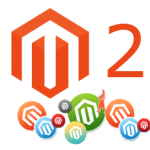 In conclusion, this Magento 2 FAQs extension provide all necessary questions and answers functions for an online store. The module plays a vital role in a Magento site and deserves to one of the essential plugins for a website. Moreover, Magento 2 FAQs extension costs only $59 for Community Edition, and cost $159 for Enterprise Edition with FREE Installation, FREE update. BUY MAGENTO 2 FAQS EXTENSION NOW!